The greatest heroes are often people who attack the problems right in front of them, one at a time, with efforts that culminate in real progress. 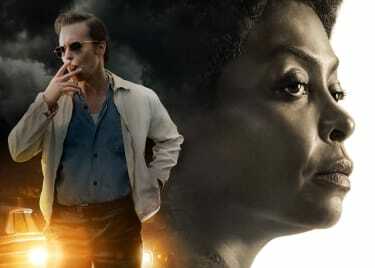 Taraji P. Henson plays a woman determined to make a difference in THE BEST OF ENEMIES, coming to AMC on April 5. 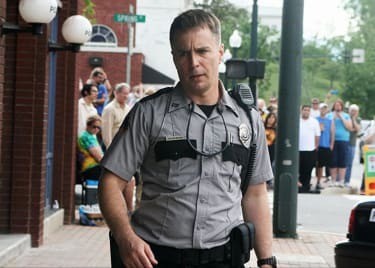 The film follows a civil rights activist whose fight against segregation leads her to work shoulder to shoulder with a notorious local officer in the Ku Klux Klan. The most surprising aspect of THE BEST OF ENEMIES is that it is based on a true story. 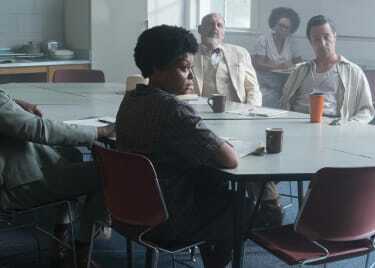 Henson’s character is Ann Atwater, who in 1971 was called upon to lead a series of meetings meant to sort out the difficult process of desegregating schools in Durham, North Carolina. The principled and fiercely outspoken activist helped lead the city into a new future, and in doing so she encouraged real change. Ann Atwater had been overcoming insurmountable odds since her youth. She grew up one of 10 children to poor sharecropper parents. As a child, Atwater often worked on the farm to aid her parents, before she was married at 13. Marriage was not an escape from poverty. Her husband also faced financial struggles and eventually turned to alcohol as an escape. Their marriage ended, but Atwater persisted as an independent single mother to her two children. Money remained tight. Atwater made clothes for her daughters to free up cash for food. From her early days on the farm to her trials as a single mother, Ann was well-aware of the fact that the color of her skin effectively made her a second-class citizen. She intended to change that. Atwater’s lack of financial security and poor living conditions drew her to Operation Breakthrough, a Durham-based program designed to help people escape poverty. She learned about rights she wasn’t even aware that she possessed, which enabled actions such as demanding that her landlord repair Atwater’s crumbling home. She didn’t just see Operation Breakthrough as a means of improving her own living conditions; Atwater saw the program as her real purpose. With an awakened spirit of activism, Atwater took to the streets to tell others about how she embraced her rights and encouraged them to do the same. As Atwater found her voice, she began to speak up against racism in her community. She addressed white welfare workers who often publicly degraded their black clients. By speaking out against discrimination, she rallied others to follow her example and ultimately changed the welfare consultation system to be more equitable for all applicants. At the same time, her passion and determination began to turn her into a leader in the Operation Breakthrough program. In 1971, when officials in Durham ruled that schools would be desegregated, Atwater was presented with another major opportunity to put change into action. As racial tensions escalated around the question of segregated schools, a charrette — a series of meetings — was set to ensure a peaceful desegregation process. Atwater was chosen to lead the charrette alongside someone she had clashed with in the past: Ku Klux Klan leader C.P. Ellis. The charrette is the focal point of THE BEST OF ENEMIES, so we won’t spoil the outcome for you. Just know that it did play a significant role in shaping North Carolina’s policy, not to mention Atwater’s legacy. She seized the opportunity to fight for her rights and changed hearts and minds in the process. 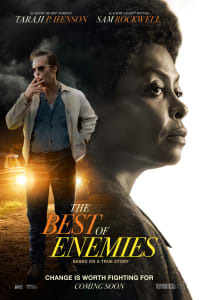 THE BEST OF ENEMIES comes to AMC on April 5.